Try the card installed on board bred PIC16F874P test used in various robotics projects, etc. RS232 connection LCD output. 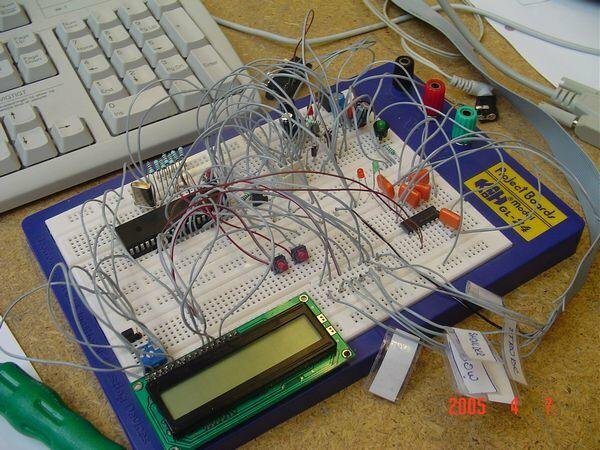 features are also RS232, motor, LCD testing in the Software (asm, hex) there. “PICboard” module for connecting the module’s WEB-RJS with Cyber310 manipulator. 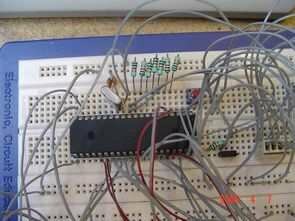 The data obtained are processed and converted into 8-bit interface protocol for Cyber310 manipulator motor control. Integrated microcontroller programmer ISCP; Internal DC +5 V voltage stabilizer; Sedan TTL -> RS-232 converter is connected to the PIC microcontroller; Microcontroller reset button; 10MHz external oscillator; Continuous DC external power supply from +5 to +30 V connection option.